Leasing a copier rather than paying outright comes with multiple advantages. For example, lease agreements offer greater convenience and include maintenance. In doing this, businesses can focus on the more productive aspects of their business, rather than stressing over silly office equipment. Tax benefits are another advantage to leasing. Leases will be treated as a pre-tax business expense, which means that it can be deducted. In addition, a lease agreement gives you access to the most advanced technology available. 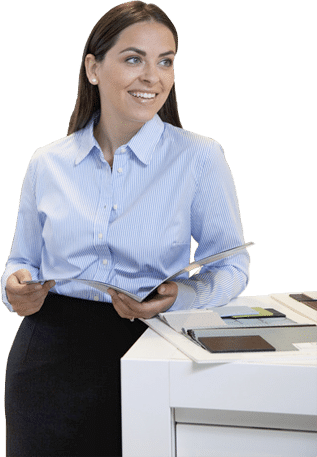 When you purchase a copier, it becomes outdated after a few years, but leases allow you to keep up-to-date technology. Once your lease ends, they often provide you with a one dollar buyout, or you can upgrade to a newer model. Also, you do not have to pay for the ink cost and other consumables when leasing. Copiers in the office have to be competitive. We provide Xerox copier machines to the greater Denver area. Copiers guarantee the smooth operation of your business, but you want one that is competitive and productive. Our Xerox machines guarantee the competitive edge in business.